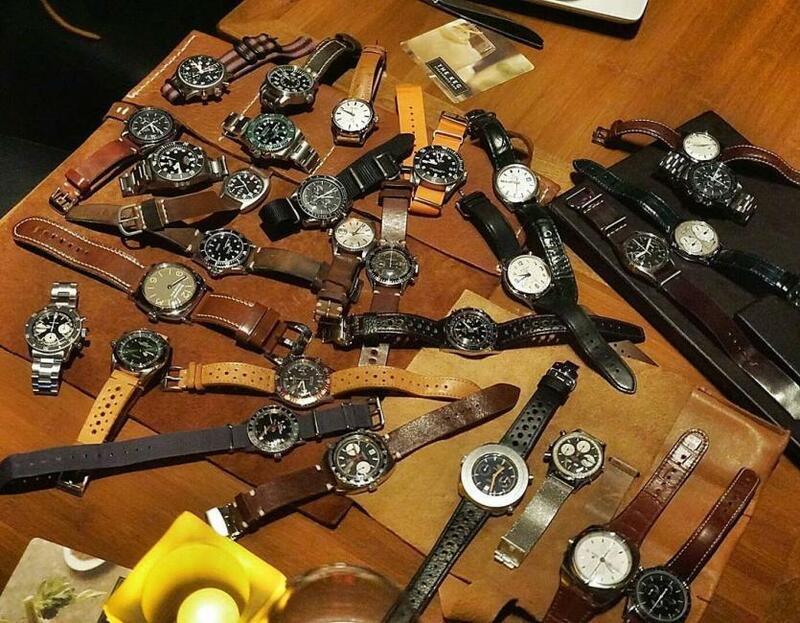 I don’t think RedBar needs an introduction, but just in case if you are a newcomer to the world of watches, it is a monthly meeting of watch collectors and enthusiasts that was initially started in New York and now it spread to the four corners of the globe. Here in Canada, we have RedBar meetings in Montreal, there is one in Toronto, but from what I heard, you will find the most active Canadian RedBar group in Vancouver. I touched base with one of the founders of the Vancouver chapter, Ryan Fowler and he agreed to do a quick Q&A for WatchPaper. First of all, please tell us a bit about yourself, your background and how did you get into watches? I first caught the watch bug about fifteen years ago in grade 11 when I received an analogue quartz Swiss Army watch as a gift at Christmas from my parents. That was my introduction to my first “Swiss Made” timepiece. I loved the simplicity of the blue-hued dial with the Swiss logo and silver hour markers. After high school, I spent several years working in the private security industry as well as the luxury hospitality industry. As a hobby in my spare time, I would research watches: brands, history, market trends, and closely follow the watch industry occasionally contributing on various forums like Watchuseek, PuristPro, and some watch write ups for Fortune World Magazine. I remember watching Casino Royale on my mid-20’s and fell in love with the Omega Seamaster Professional Planet Ocean watch. I knew after seeing this watch I had to own it. So I saved some money and picked one up for myself on my 25th birthday. Omega was the brand that made me really fall in love with mechanical watches. I have also been fortunate enough to sell some of the top luxury watch brands in the world for several years, so I have a unique perspective into both the luxury watch sales industry and the watch enthusiast community. How did your collection evolve? I have sold watches in the past I have owned Rolex’s, Omegas, vintage Grand Seiko’s, and vintage Longines. After a while, if I see a piece I like, I will sell some pieces in my collection to acquire a new one. I have an eclectic mix of newer and vintage watches but I definitely have a soft spot for pilot and military issue watches. When did you first thought of organizing a RedBar in Vancouver? I was messaged one day on Instagram by another watch enthusiast and talented luxury lifestyle journalist by the name of Justin Mastine-Frost who began talking to me and together we co-founded RedBaryvr or the Vancouver Chapter of RedBar. This was roughly two years or so ago. For the past year and nine months or so I took over RedBar because Justin moved to New York to pursue other opportunities. We generally meet every month at least once, with additional events hosted by various watch brands who contact me to do events and present their current collections and novelties from Baselworld and or SIHH. We also have established friendships with the local jeweller/watch community who invite us out to events. What was the most memorable activity you guys had? 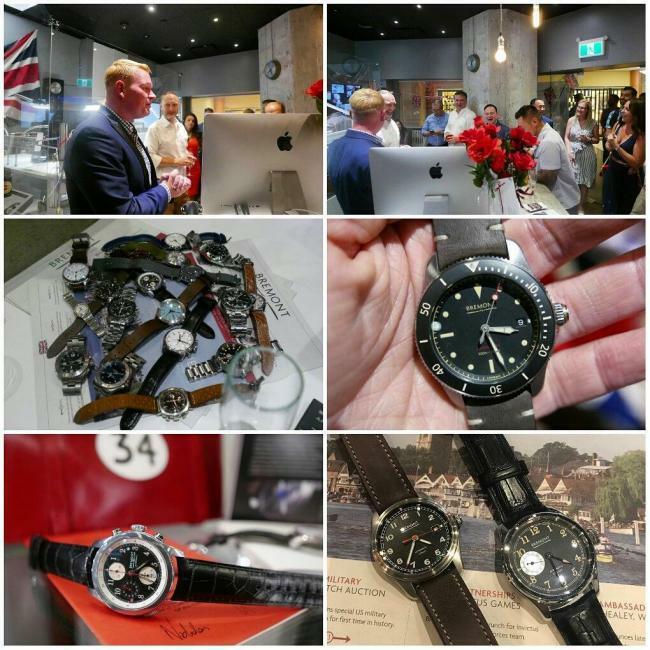 The most memorable activity was probably our recent event as guests with Roldorf & Co (a local jeweller who specializes in independent watch brands and watch repair). Bremont Watch Company was in attendance and Mike Pearson the North American Director for Bremont Watch Company was there. Individuals like Mike are the reason I love this industry. 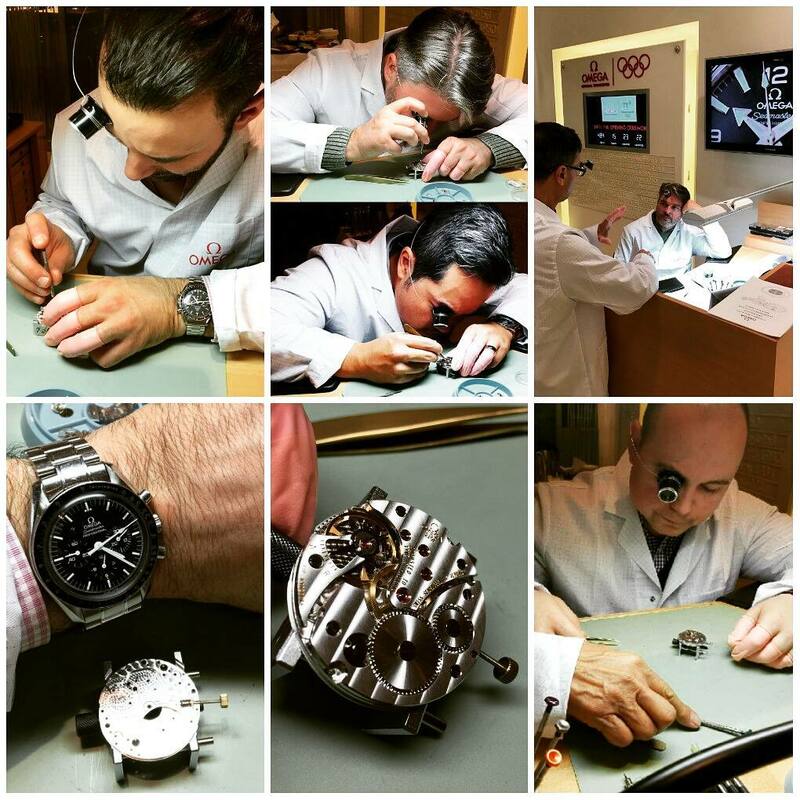 His passion and enthusiasm for watchmaking and watches is a rare thing. For Mike, Bremont is a lifestyle, and he is able to connect with individuals with his personal experiences and sense of humour. At the end of the day, it’s about connecting watch enthusiasts and bringing people together with a shared passion for horology. What was the most notable watch you saw at a RedBar meeting? The most notable watch that showed up rather unexpectedly was an F.P. 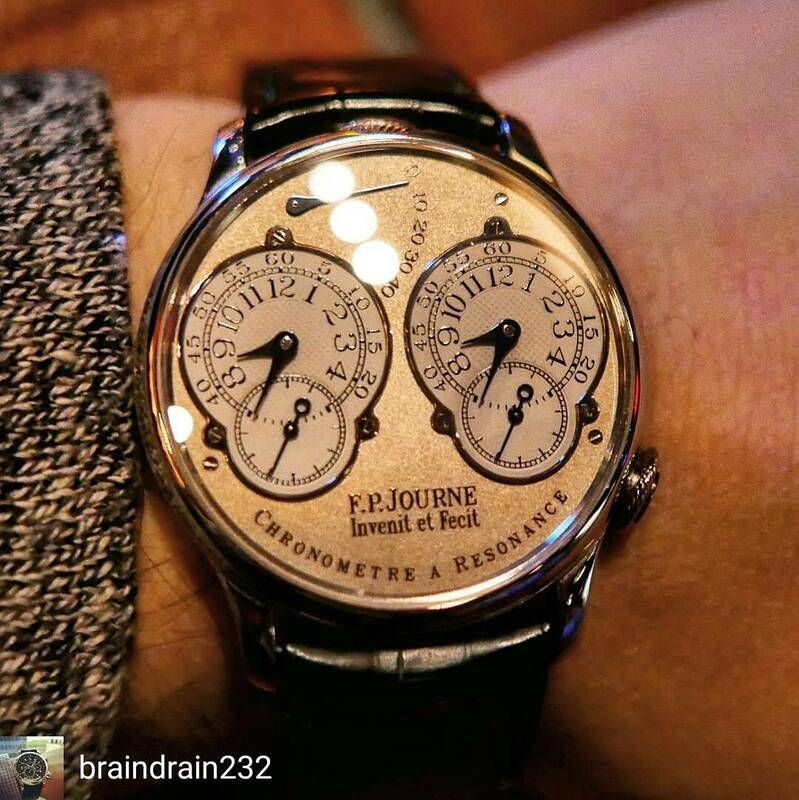 Journe Chronometre A Resonance with a platinum case and stunning gilt style dial. The movement was an early version of Journe before he switched over to doing his movements in solid gold. So it had a stainless steel brass movement with the exceptional movement finishing that you would expect, bevelled edges, Cotes de Geneve, and the two escapements visibly beating in synchronicity like dual heart beats. Another example of Haute Horlogerie at its finest. Can you share with us any plans for upcoming RedBar meetings? I would like to get some members from other chapters out to some future meetups and also some additional collaborations. Still working out some details for events to come at the moment. It takes a lot of time and effort to plan events and also accommodate our ever growing group.